I had Cambodian for dinner with my family and a family friend. I remembered how a friend brought homemade Cambodian beef skewers to a BBQ last summer where I really liked it, so I picked this dish for my family and friend to try. The taste is very distinct and unique from the lemongrass, even without the fish sauce. 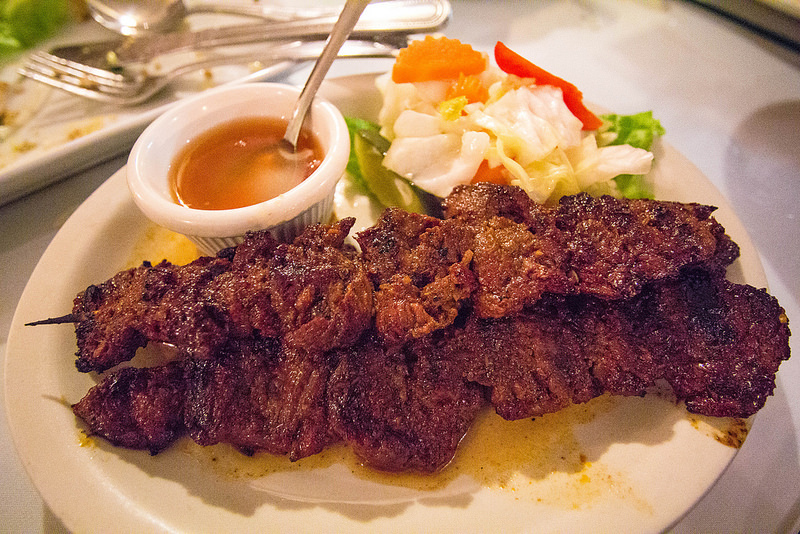 Charbroiled beef shish kebab marinated with lemongrass, spices (kroeung), and ground peanuts. Served with fish sauce and pickled vegetables.